The Implied Conversation is our regular feature about the intersection of movies and philosophy. Like all art, film gives us an opportunity to remove ourselves from immediate circumstances and assess the world we inhabit. Each month, Jeremy Philip Galen watches a recent indie release to determine its role in this ongoing dialogue. Right in the midst of a week filled with a sense of history in the making, a milestone in the evolution of cinema was reached with relative quiet. 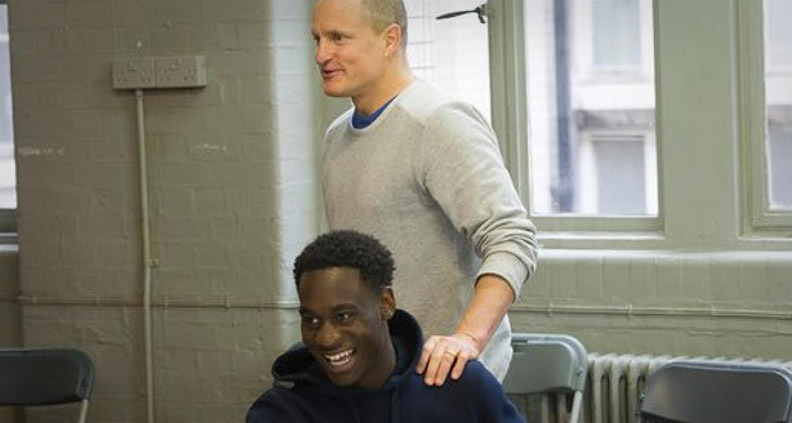 The Woody Harrelson-written, directed and starring Lost in London was billed as “the world’s first live movie,” performed live in real time and simulcast from one camera to hundreds of screens for one night only on Thursday, January 19 (early morning January 20 in the UK). Adding to the realness of the experience of watching live is the fact that the film is itself based on the actual events of one raucous night Harrelson spent in London circa 2002. Woody basically plays himself, picking up the pieces of his life after some rough tabloid exposure infuriates his wife. Visiting London, he runs into Owen Wilson, brushes up against the law after a series of unfortunate (and often comic) situations and communes with Willie Nelson—aka “The Dalai Lama of Texas”—in a jail cell. The project’s technical achievement is so awe-inspiring that one can’t help but ponder the implications it has for the future of entertainment. But these musings are a bit of a dead end—and this itself is a wonderful discovery. 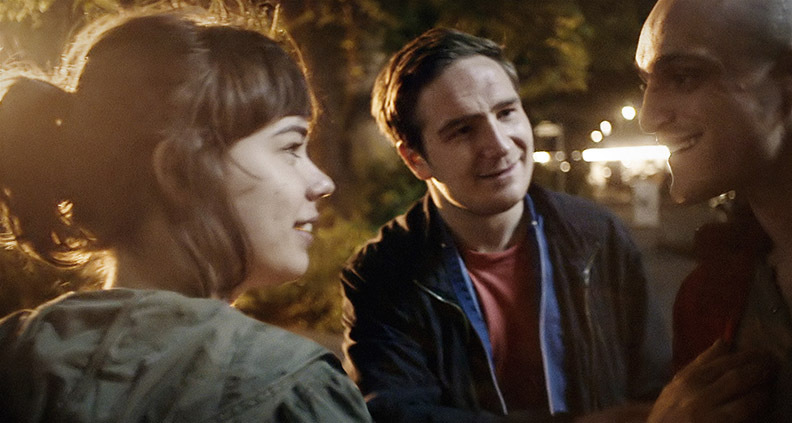 True, Lost in London is constrained by time and place—its story must take place in a single take—but this doesn’t alter anything fundamental about the experience of watching it as a film. Much like flipping on the radio and hearing what you suspect is a live recording of a concert, the substance of what you hear is all that matters. If you were to learn after the fact that the concert was indeed recorded live, but long before you started listening, what would it matter? The key thing would be that the concert was once performed live and not produced in a studio. In other words, the fact that Lost in London was created in one take is significantly more important than the fact that it was broadcast and viewed live. Within the film—and perhaps in real life—Harrelson is a man in search of redemption. The film’s implied question, then, is how much legitimate transformation can take place in under two chronological hours? The answer is easy: a lot. And this may turn out to be the enduring legacy of the project. An accidental-feeling authenticity and intimacy unfurls as the night drags on, exaggerated by the quirks of the single take. In this, the project is much like German filmmaker Sebastian Schipper’s 2015 crime drama Victoria, this work’s predecessor in single-take experimental production. So even if the storytellers and performers of the future play on stages of increasingly radical immediacy—a de facto return to film’s roots in theatre—entertainment value will as always correlate with our ability to sympathize or identify with the characters in a story, rather than the fact of a story’s geographical or temporal delivery to us. It’s simple: we simply want to understand the drama of our own lives.